Generation Y is not only changing how and what businesses sell, they’re also changing how businesses work! Gen Y (or Millennials as they are commonly referred as in the marketing world), are the first truly digital generation. Generation Z (or Generation Next) are right behind, seeing the world far differently than Generation X or the baby boomers ever did. Like Gen Yers, the ‘next generation’ already represent a significant economic force in the today’s fast growing world. In the U.S. alone Gen Yers represent as much as $30 billion in spending. They’re connected, informed, and they’re almost immune to traditional sales and marketing methods that were established to serve the generations before them. 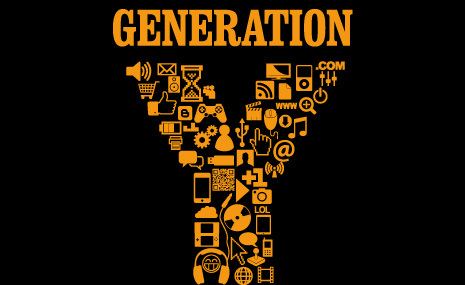 Quite simply and truly: Generations Y and Z have the world resting in the palm of their hands, and it’s causing quite a significant amount of buzz in both the marketing and sales industries. Today’s children (tweens and teens) are deeply impacted and consumed by media and technology – 42 percent of children eight years and younger have a TV in their bedroom; 29 percent have a DVD/Blu-Ray player; 11 percent have a video game console; and four percent have a computer. Children under the age of two spend over twice as much time watching TV (53 minutes per day) as they do reading books (23 minutes per day). Conversely, a whopping 93 percent of today’s youth are using their mobile device(s) in order to communicate with friends and family – texting, email and other social avenues such as Facebook and Twitter all contribute to the way we’re communicating now. The digital boom is front and center, and it’s up to marketers and businesses to latch on, learn, and to not let go. Every brand and business aiming for web dominance is active on social media in one way or the other but not all of them are successful at it. Engaging social followers and deriving real business benefit from them is the ultimate goal, but first, the business needs to understand the importance and relevance of social and digital marketing. Digital marketing is less about following established wisdom and more about finding ways to engage target audiences. Look beyond accepted marketing wisdom when it comes to launching new products. Generate an experience for your targeted consumers. Email marketing is not everyone’s cup of tea but some brands derive serious business benefits from such programs. No one likes boring emails that try to sell something you have no interest in. Thus, it is important to have strong factual proofs that your email recipients fancy what you are pitching. Unconventional and imaginative ideas pay off in almost every business field. While there are limitless examples of eccentric marketing in the real world, the turf of digital and social marketing is not that exciting. However, this is changing as small and big brands have realized how they can catch the imagination of web users by thinking outside of the box and planning their social presence smartly. Learn more about CMG Media Agency’s services, including digital marketing and experiential marketing - or contact CMG Media Agency now to get started! 2017 Spring Break Guide is Now Available Online! © 2019 CMG Media Agency.